Yes, it finally snowed, but that didn’t stop these girls from rocking it in the cold weather. Their winter survival guide: more layers mixed with faux fur and shearling accents to old fall outfits! Don’t think that wearing fur means pulling a Kate Moss – anyone can pull this off. 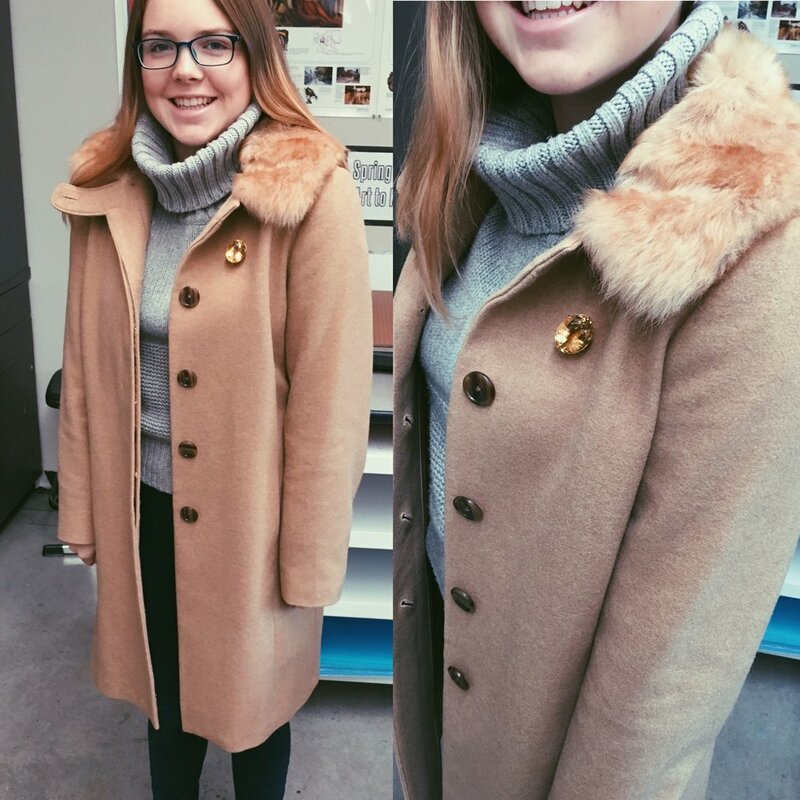 Ashley ‘17: Ashley goes with a classic Banana Republic coat and Anthropologie turtleneck to brave the cold. 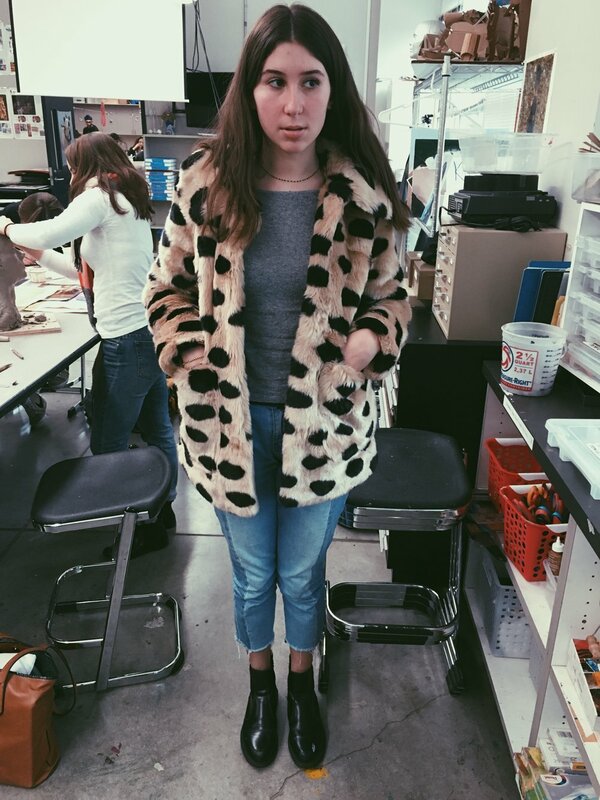 Camille ‘17: Fur is your friend!! Revamp any outfit with a fur scarf. Camille found hers at Uniqlo. Maddy ‘18: Moto meets fur accents. Maddy layers a black hoodie under her Crossroads coat, with H&M pants and thrifted boots. Maya ‘19: Who says you save to Boho for summertime? 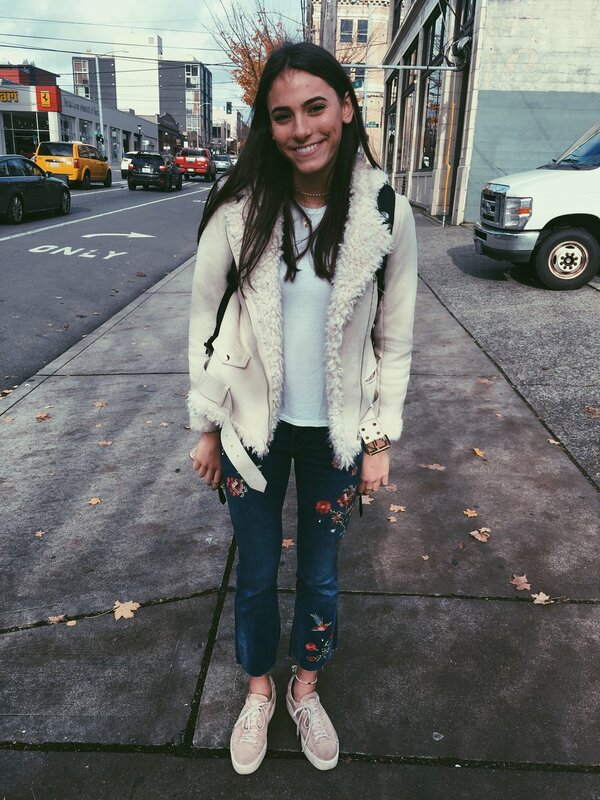 Maya goes with floral-embroidered jeans from Zara to spice up her outfit, with a shearling jacket also from Zara, creepers, and Aritzia tee. Ruby ‘17 and Camille ‘17: This duo proves that layering is key. Ruby goes with a sporty approach in an American Apparel coat, Brandy Melville sweater, Zara jeans and Steve Madden sneakers. Camille chooses an Urban Outfitters coat, Nasty Gal boots, and Rag & Bone sweater and pants. Matilde ‘17: When you can’t wrap up in blankets, instead go for a warm faux fur coat! Matilde likes her Jakke coat, Mango jeans, Stefanel sweater, paired with Doc Marten boots. Très chic!